MOSCOW, April 23. /TASS/. Russia is technically capable of providing its air defense systems S-300 to Syria within one month, a military-diplomatic source has told TASS, adding that for this the launchers already at the Defense Ministry’s disposal might be used after the required reconfiguration, a military-diplomatic source has told TASS. According to the official, there are two options of delivering the S-300 to Syria. One is Russia may provide to Syria the export configuration of the air defense launchers. In that case Syria will get them in 18 to 24 months from now. The other possibility is the available systems may be retrieved from the Defense Ministry’s reserves. Those replaced by S-400 in the Russian army might be use, too. "Naturally, the used S-300 systems that may be taken to Syria will have to be reconfigured to suit the standards of the Syrian air defense. This work may take about a month," the source said. 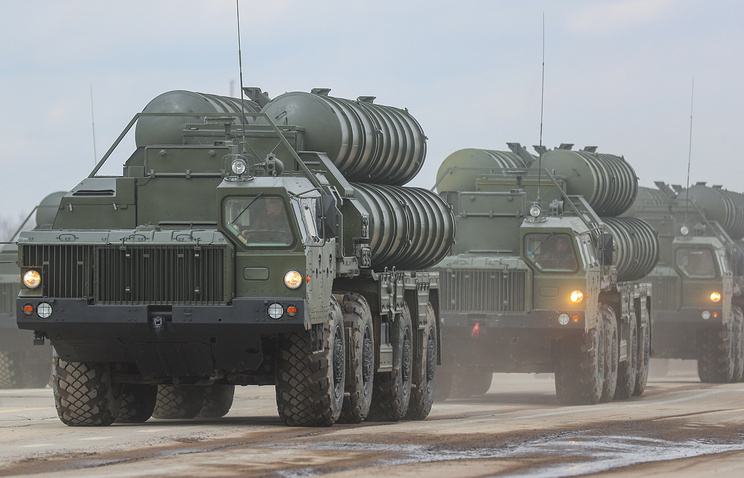 Earlier, the daily Kommersant quoted its own sources as saying that Russia in the near future might start the delivery of S-300 Favorit air defense systems to Syria. Russia’s General Staff declared it might be possible to raise the question once again of providing S-300 systems to Damascus shortly after the United States, Britain and France on April attacked Syria with cruise missiles. The agreement with Syria on providing S-300 was signed back in 2010 only to be frozen due to objections from the West and Israel. Russian Foreign Minister Sergey Lavrov on April 16 said Russia might be prepared to consider all the necessary steps for enhancing Syria’s defense capabilities, including the supplies of S-300 systems. On April 23 Lavrov said the question of providing S-300 to Syria had not been settled yet, but Russian President Vladimir Putin had discussed that possibility with the Defense Ministry "from the standpoint of preventing a situation where Syria might turn out insufficiently prepared for aggressive attacks, like the one that took place on April 14." Russian presidential spokesman Dmitry Peskov refrained from comment when asked if S-300 might be delivered to Syria in the near future.